Lastly, understand how all of these pieces fit together to form a solid, unshakeable marketing strategy. We started our discussion of marketing strategy in Part 1, where we talked about the 3 strategic questions you must ask and how the purchase funnel can lead to greater leads, conversions, and revenue. We are finally going to land this strategy plane. But, in order to do that successfully, we have to look at how to set the RIGHT objectives. Well, sorry to burst your bubble, but this isn’t going to get you anywhere. Setting marketing objectives is one of the most misunderstood marketing activities. Marketers often set objectives based on what they think they need to grow their business. And, because they want to tackle everything, these goals are often too broad and undefined. Look, increasing leads and boosting sales are worthwhile objectives, but they are not specific nor tied to a strategic marketing plan. IMPORTANT: Don’t set objectives until you plan out your marketing strategy and funnels. This information will tell you what your objectives should be. Well, if you have been following along with our marketing strategy series, you will understand market orientation and hopefully have done some market research. This research will have led you to choose a segment to target. You then defined your market position, outlined your funnel, and hopefully uncovered some holes in your funnel. Your marketing objectives will help you fill those holes and get your funnel working 100%. This way, you aren’t just randomly choosing objectives. You are setting goals that, when achieved, will actually help you move the needle and grow your business. But, that’s only the first part of this process. 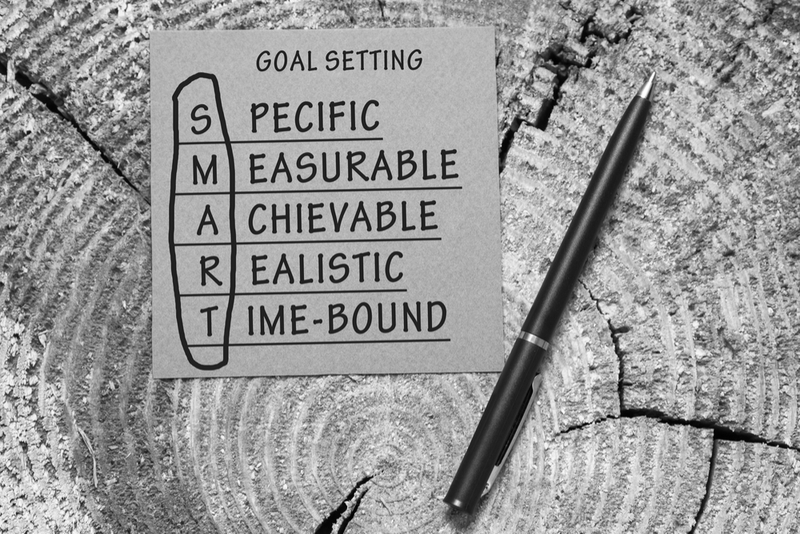 The best way to set marketing objectives is to set SMART goals. SMART is an acronym in which each letter defines an aspect of the goal: (Specific, Measurable, Achievable, Realistic, Time Bound). Specific: What goal are you trying achieve? Whom are you targeting with your goal? Your goals should target your chosen segment. Measurable: Where are you now and what are you wanting to achieve? A measurable goal has a clear start and a clear end. (e.g., 25% increase in newsletter subscribers by June 2019). Achievable: Create a goal that is worth achieving. Remember that we said a good goal is one that may be tied to fixing the holes in your funnel. This is a worthy goal to achieve because hitting it will produce measurable and business-building results. Realistic: Are you able to achieve the goal? Ambitious goals are admirable, but if you are shooting for something unrealistic, you will never hit it. If you can’t devise a clear path to the goal in your chosen time frame, it’s too lofty. Time Bound: When will you reach your objective? Always include an end date or time window for your goal to keep yourself accountable. Increase brand awareness among consumers using our digital tools. Why is this objective bad? Well, think about this for a second…the goal of creating objectives is to achieve them, right? So, how will you know when you have achieved this objective? What is your criteria for “increasing brand awareness?” What will that look like in real life? Create a specific goal so you know how close (or far) you are from achieving it. Also, add a due date for the objective (make it measurable). This way, you can check in at various stages of the goal’s timeline and make adjustments as needed if things are getting off track. How can we change that “bad” objective to make it a more performance-focused and SMART goal? Increase email subscription in the small business users segment from 45% by January 2020. This is a strategic goal. It’s specific and has a time period of completion and it also mentions the exact segment you are targeting. It’s ambitious but not unrealistic. IMPORTANT: Don’t set more than a few objectives at a time. Targeting too many goals can set you up for failure because of time and resource constraints. Part of setting the right objectives is also knowing which ones to say “no” to. More is not better. Last year’s revenue determines how much capital the company has to invest in this year’s marketing. Using this number, they calculate what percentage of their top-line revenue they want to dedicate to marketing. If they want to be aggressive, they may want to invest as much as 5-7% into marketing. If they want to be leaner, they may invest as low as 1-2%. Yearly revenue and objectives also play a role, as they inform how aggressive the campaigns should be and how much money is required to meet objectives. A financial executive may also apply a CAGR to identify how much the business has grown annually. Comparing this to the average marketing spend can help determine the budget depending on whether the company wants to grow faster or slower than previous years. How much does the company want to earn in the next calendar year? This number will also play into how much an organization spends on marketing in the coming year. Spending more marketing dollars does not always equate to more sales. Marketers use the advertising-to-sales ratio (divide total advertising expenses by sales revenue) to better predict how each dollar will influencer total revenue. For example, looking at past trends, if an organization spends $10,000 on marketing and it produced $100,000 in revenue, spending another $10,000 may be wise. However, if in the past, they spent $20,000 in advertising and it resulted in less sales, they may want to stay closer to $10,000. Everything we just said about setting marketing budgets? Throw it all away. Trust me, you’ll thank us later. Here’s a better (and easier) way to set marketing budgets that often produces better results. This is because it views marketing as an investment rather than a cost, and it also makes marketing team members more accountable to objectives. Start the process with ZERO assumptions about what will happen in the coming year. Forget about your marketing spend from last year. Don’t use last year’s tactics to inform this year’s strategy. Segment, target, and position based on the data gleaned from your research. Create purchase funnels and identify any holes. Create SMART goals (see previous section in this article). Calculate the value of achieving your objective – how much marketing dollars do you need to invest to achieve your objective in the coming year (next 12 months)? Take that value and annualize it (divide by 12). This will help you allocate how to apply the budget over the 12 months. Determine how much you want to invest in your strategy and what will be your return on investment. One of the best benefits of zero-based marketing is that it makes marketing teams more accountable because it’s a “do or die” situation. Your numbers are based off the returns you expect, and you expect your marketing team to WIN. Assign people on your creative team to develop the marketing strategy. This is their main focus. Assign different people to execute the strategy and achieve the objectives the first group set forth. 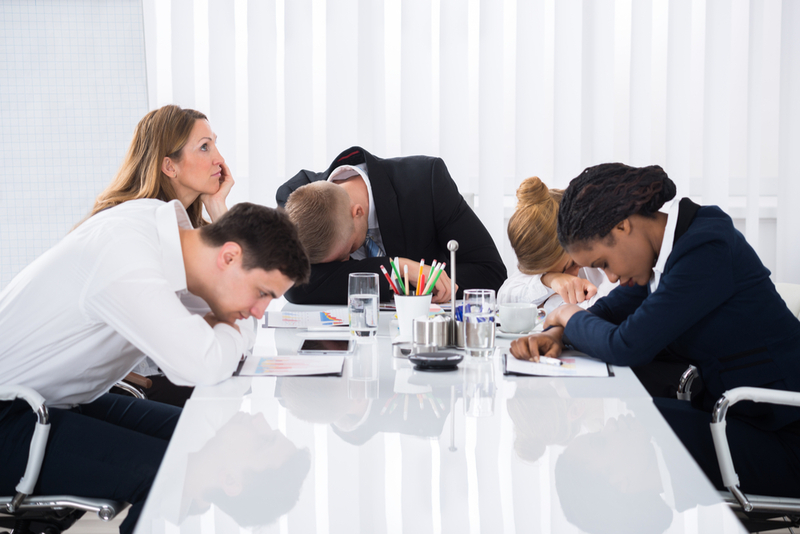 Over-briefing – This involves tying your creative team members’ hands and stifling creativity. Give your team some room to come up with their own unique ideas and implementation tactics. Under-briefing – The team should have enough information about the strategy that they fully understand the objectives. This way they can devise tactics that effectively augment your marketing strategy. Compile your marketing strategy and answer your who, what, and how questions without any agency input. We talked about these 3 strategic questions in this article. 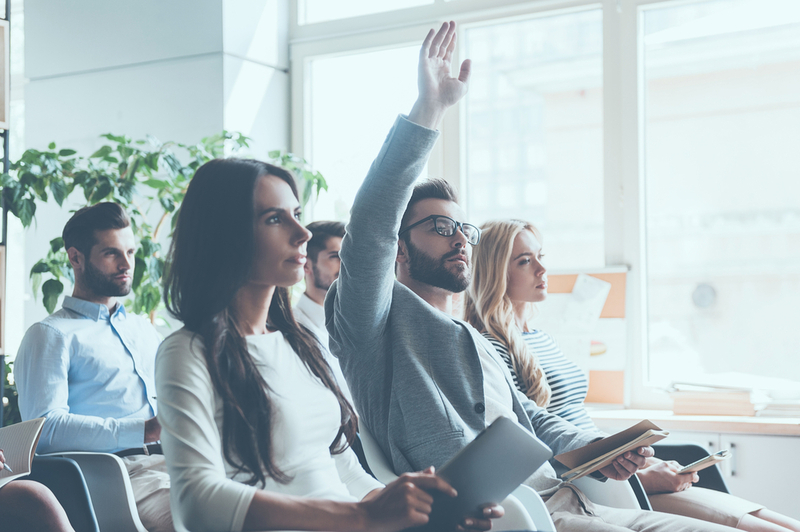 Gather your answers to these questions before you consult with your third parties. Send a written brief of your marketing strategy notes to incumbents and then invite them to your headquarters for a briefing. Take a couple of hours and share your marketing strategy: whom you are targeting, why you are targeting them, your positioning plans, and your SMART goals. Remember not to over-brief. After the headquarters briefing, debrief with each individual agency and review your ideas and budget. Great briefing is much like a diving board. The diving board is your marketing strategy and objectives. They provide a solid platform for your creative team to jump off of and successfully dive into the pool (go to work achieving your objectives). 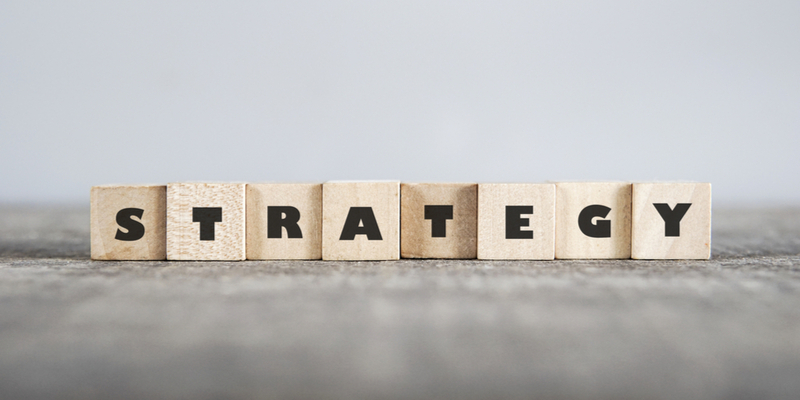 Are You Ready to Execute Your Marketing Strategy? Once you compile your marketing strategy, it’s time to execute! To ensure you smash your goals this year, work with marketers who have a track record for getting results. Your business is too valuable to put in the hands of shaky marketers who are practicing on your dime. If you want proven tactics executed by marketing masters who have years of experience achieving and exceeding strategic marketing goals, contact us here for a free consultation. Let us help you crush your goals this year and level up your business.